Happy Fun Fact Friday folks! This is a feature in which I post a fun fact about myself that I don’t feel relates to my Cerebral Palsy. This week, I want to talk about pet peeves or pet hates. 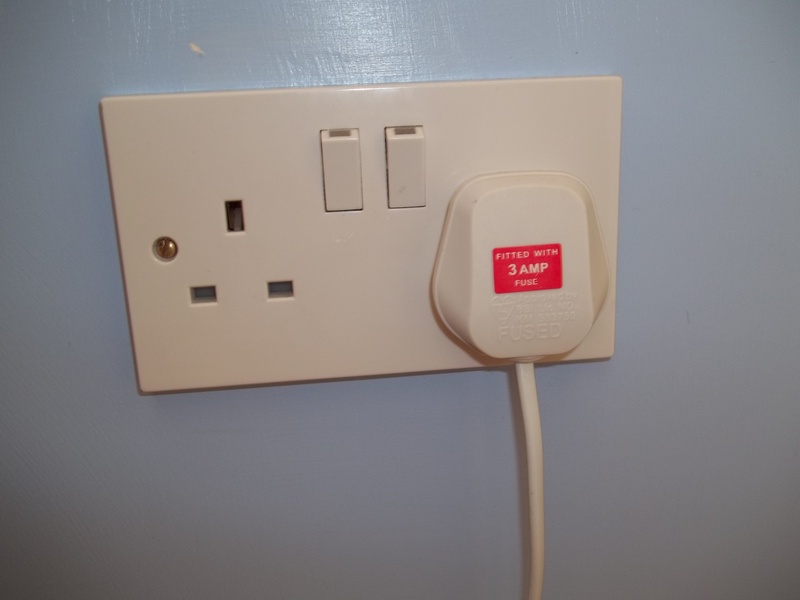 I have quite a few but rather than tell you them all at once, I’ll focus on the thing that perhaps bugs me the most: people leaving plugs in the ‘on’ position when there is no plug in it. Does this annoy you too? Every time I walk past one in a public place I have to try really hard not to switch it off. My family also know that this gets on my nerves, so if they are feeling in a mischievous mood, they will leave plugs that I can’t reach like this to see how long it takes me to notice. Oooooooooooooooo I’m with you on this pet peeve, perhaps we should form a committee against it?! I’m so with you on this too!!! My really pet hate is people who just wander round the supermarket like they are on a day out at the zoo or something!!! they get in the way!!! Oh yeah that’s really annoying too. I’m afraid I don’t understand your pet-peeve. What difference does it make? (we don’t have these in the states). One of my (many) pet peeves is drivers who honk their horns the second the light changes. It doesn’t make much of a difference because it doesn’t charge extra money on your electric bill unless you have a plug in it but I just don’t like the switches for the plug sockets being in the on position unlsss there’s a plug in it like there is in the socket on the right. I don’t know why. Hmm, my pet peeve is people standing in the middle of walkways talking, making it impossible to get through. It’s a walkway, not a talkway….get off the sidewalk if you’re gonna start chatting, or out of the hallway. I agree that’s annoying. It annoys me when people stand in doorways too. I do that as well! I thought it was just me haha. Nope it’s not just you! I’m glad to know I’m not alone! yep that bothers me too!